Vinyl Digital Exclusive: Limited edition of 50 copies!! Only 1 per Customer!! You will experience a ride through musical journey where each composition is a organic piece of a puzzle which in the end creates natural audible structure. Every single island on this archipelago has their own memory, which brings listener to the mindfulness enjoyment. 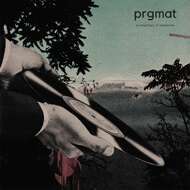 PRGMAT keeps his signature sound with obscure and mostly rare samples, raw drums, soulful melodies and the presence of low fidelity architecture. The Latvian artist offers delicious hiphop instrumentals for whom most appropriate platform is limited edition tape cassette with two bonus tracks which you can hear only on physical cassette. Soul, funk, jazz, disco, golden era hiphop may seem like a stylistic jump, but PRGMAT has absorbed his influences so completely and has attained such control of his sound, that he makes such eclecticism seem completely natural. This instrumental album in many ways predates it’s flava of nostalgia primarily unified sonically via crispy and raw drums, soul and jazz samples with an ear for it’s own birth. All beats produced and mixed by PRGMAT in Riga, Latvia. Enjoy this heavy limited tape with two exclusive bonus tracks.